his isn't the first time that Paul Pogba has been linked to Real Madrid. Three years ago, his signing became the main focus of the transfer market that summer. He decided to leave Juventus and sought a destination until Manchester United's millionaire owners opted to fork over 114 million euros to bring him back to Old Trafford. 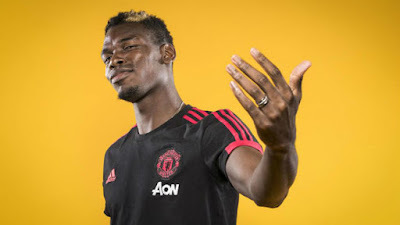 Now, Pogba is back in focus of Madrid again thanks to the hand of his agent, Mino Raiola, who is already looking for a new destination for the Frenchman. Raiola is set to be busy this summer as he already has another in-demand player on his books in Matthijs de Ligt. Months ago, there was a problem that appeared difficult to overcome as the relationship between Raiolaand the Madrid hierarchy had broken. Everything has changed now and in the last few weeks, there has been telephone contact between the parties and what appeared impossible now seems to be on the cards again. In the two conversations that were held between the Italian agent and Madrid's men in power, Raiolaconveyed the desire of his client wanting to leave United and join Los Blancos. That is nothing new. On his way out of Juventus, the 26-year-old listed Madrid as his ideal destination but both Florentino Perez and Jose Angel Sanchez thought that the high fee paid for him was excessive. In fact, there are some within the Santiago Bernabeu who believe that the 114 million euros fee paid for Pogba marked a change, and the before and after point, in the market. Zinedine Zidane likes Pogba and has never hidden that fact. Having returned as head coach, he could finally be united with the midfielder. At the moment, he is still studying both his squad and the market but within the club, they believe that Pogba is the kind of player who would fit the bill for what they want. Jose Mourinho's time at the Red Devils was key in pushing Pogba to look for a change of scenery and he didn't shy away from the poor relationship they had. He felt unmotivated and unwilling to continue at Old Trafford and, although the coach's departure has changed the landscape in Manchester, his decision is firm. Pogba now feels uncomfortable and would prefer to now play for another team and if it is Real Madrid, then so much the better. The order given to Raiola is clear and for the moment, the agent is taking the necessary steps to satisfy his client. Under Ole Gunnar Solskjaer, Pogbahas recaptured the kind of impressive form he showed in helping his country to lift the 2018 World Cup, and with Nemanja Magic covering for him he has been the kind of decisive player that he hadn't previously been during his time in England. A departure from Old Trafford will not be easy, though. He has two years left on his contract and the 114m euros that was paid for him is also a stumbling block. However, his 14m euro salary is one that can be taken on by Madrid, due to his profile as a player, both in a sporting and commercial sense. The English side are also not going through their best spell economically and the almost half a billion euros that was spent under Mourinho has put them in something of a delicate situation. There are no agreements with Ander Herrera, Juan Mata and David de Gea over new deals at a club, while the club itself have over 300m euros worth of debt to deal with. Pogba is a heavyweight player and is crucially a man who has never hidden his admiration for Real Madrid and Zidane.